Are you new here, and this is your first time crossing over the threshold into a place that celebrates literature with a metaphysical dimension? We are now entering the month of June, and we are about to be a literary coven that is three months old. So, thank you to all who have partook in our coven book discussions in some way, or joined our book coven’s Facebook Group. Your continued commitment to this group, through either direct participation or even just passively reading any of our updates, has kept the fervor of the group very much alive. This easily one of my most successful blog-related projects, and you have all inadvertently given me a chance interact with readers of all different backgrounds about Anne Rice’s Vampire Chronicles. And, for the next five successive months to follow, before #PrinceLestat is slated to enter our world, I encourage you all to continue participating in this group in some way. Feasibly, I know it is impossible for all of you to keep up with our somewhat regimented reading schedules or live chats. For our next discussions, we are moving at a break-neck pace through the next four installments of the Vampire Chronicles-The Vampire Lestat, Queen of the Damned, Tale of the Body Thief, and Memnoch the Devil. Starting the week of June 15,2014, we will start our four-week discussion of The Vampire Lestat, which will ultimately end on July 15,2014. Since this book is even more complex and ambitious in scope than Interview with the Vampire, four live chats will not be sufficient to cover all the territory of these books. As such, I am creating special Vlogs-short documentary style videos on Youtube- to compensate for all the wide array of topics in The Vampire Lestat that cannot possibly be covered in just four live chats!! Lestat has also mentioned that he is building a special area for all the “Vampire Lestat” Vlogs to be stored, during the course of our sure-to-be heated discussion about Lestat’s personal favorite book in the Vampire Chronicles-The Vampire Lestat!! 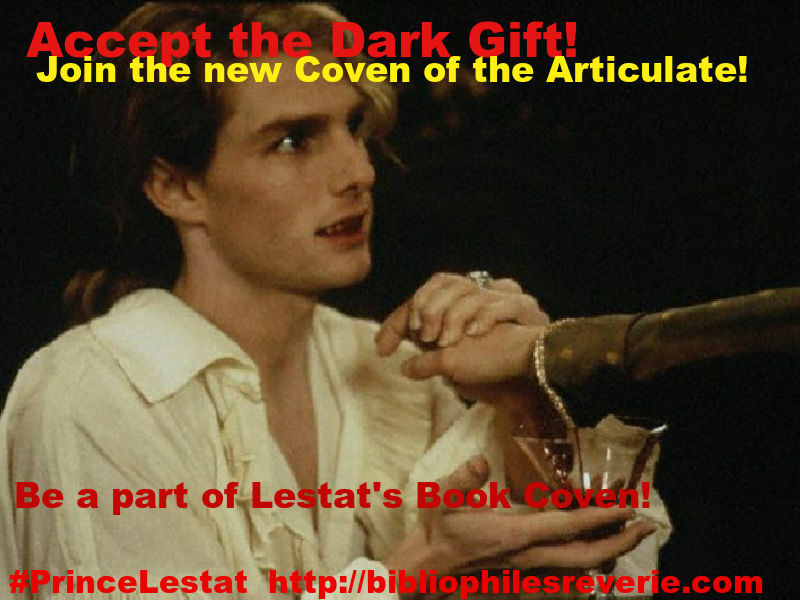 So again, be sure to head over to the newly refurbished crypt,constructed by Lestat himself, to check out when and where our forthcoming month-long discussion of The Vampire Lestat will take place!! Interview with the Vampire Two-Hour Finale Chat!! Click the humorous picture above to RSVP for our 2-hour “Interview with the Vampire” Finale Chat on June 14, 2014 at 2pm. Eastern on Google Hangout on Air Live!! Hope to see all of you on Saturday, June 14, 2014 at 2:00pm Eastern Time for our special “Interview with the Vampire,” chat!! William Massa’s Fear the Light: Who Murdered Dracula?